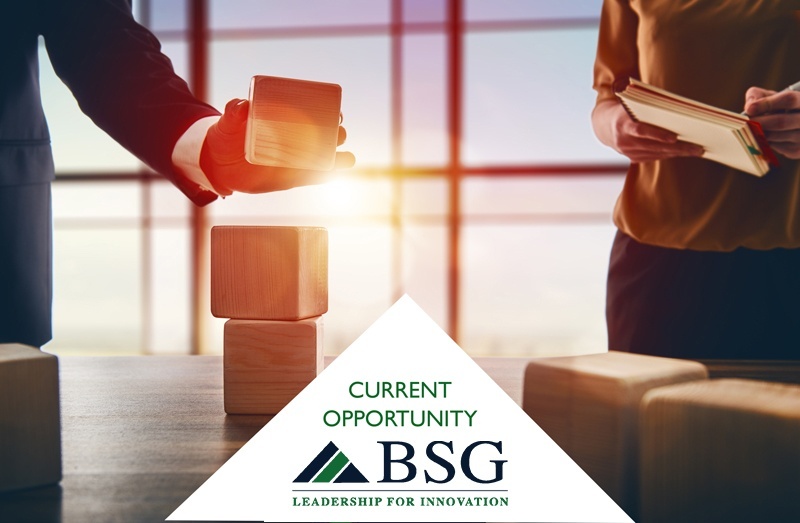 BSG has commenced an executive search for Chief Financial Officer for our client, a leading outsourced provider of a full suite of industrial services. The CFO will be responsible for the day-to-day administrative, financial and risk management operations of the company. Our client is a leading outsourced provider of a full suite of industrial services including industrial cleaning and maintenance services, environmental remediation and emergency response services, and industrial process automation / control and electrical maintenance services to a base of predominately industrial customers. Providing specialized construction services primarily focused on fueling station construction and other attractive commercial projects for select customers, our client has over 250+ employees, operates in national and international markets, and has a superior track record of service and safety. A private equity firm, together with management and co-investors, recapitalized our client in April of 2018. The investment and PE firm's expertise in working with industrial services companies will enable our client to expand its scale, geographic reach and the breadth of services it offers to better serve our customers in the Pacific Northwest. Reporting to the Chief Executive Officer (CEO), the Chief Financial Officer (CFO) will be responsible for the day-to-day administrative, financial and risk management operations of the company. This includes the development of a financial and operational strategy, and the ongoing development and monitoring of control systems designed to preserve company assets and report accurate financial results. It is also expected that the CFO will serve as a strategic advisor and partner to the CEO and company leadership helping to drive the company's performance by providing fact-based analysis and strategic financial direction. As an integral member of the Executive Team, the CFO will support the organization in improving sales growth through financial analysis. Ensure that financial information, analysis and reporting is accurate, timely, reliable and relevant, in order to assist the Board, CEO, and Executive Team in effectively performing their responsibilities. Manage financial and business performance by developing appropriate metrics on which to measure the Company's business, monitoring variances to forecasts, and developing action plans to address variances. Work with operating team to identify and address trends, implement corrective actions and performance improvement actions. Participate in monthly review of work in process that is the basis of revenue recognition for the financial statements. Monitor capital requests and expenditures to ensure within budget and plan. Oversee all accounts, ledgers, and reporting systems, ensuring compliance with appropriate Generally Accepted Accounting Principles and regulatory requirements. Maintain internal control safeguards and coordinate all audit activities. Ensure that the Company is in continuous compliance with all statutory, regulatory, banking, import, tax, and other external and internal operating, reporting and record keeping requirements to which the company is subject. Manage tax statement preparation by CPA for all related companies and shareholders. Oversight of facilities and IT staff, with responsibility for approving all IT purchases and systems. Manage all Owner accounts, tax distributions and other matters as assigned by Owners. Maintain all leases for company offices. Maintain key relationships with insurance broker, ensuring awareness of all significant business developments and maintenance of appropriate coverage. Understand and mitigate key elements of company's risk profile. In conjunction with legal counsel, monitor all open legal issues involving the company and analyze their potential financial impact. Maintain key banking relationships, ensuring bank is aware of all significant business developments and partner on strategies to ensure company is adequately funded at all times. Analyze and value opportunities to sell or acquire business units. Facilitate due diligence reviews should these transactions proceed beyond initial review, facilitating smooth transition should transaction close. Oversee budgeting and the implementation of budgets so as to monitor progress and present financial metrics internally. Mentor and develop a small team of finance, accounting, IT and administrative professionals, managing work allocation, training, problem resolution, performance evaluation, and the building of an effective team dynamic. Provide strategic and creative financial advice and leadership on decision making issues affecting the organization (e.g., new business opportunities, alliances, acquisitions). Provide assistance to the CEO and Executive Team in the development and execution of operating policies and procedures as needed. Support all company initiatives by process and procedure as communicated. The CFO will be a seasoned and mature leader with at least 8-10+ years of broad finance experience, ideally beginning in accounting, followed by significant experience gathering and evaluating financial information and making actionable recommendations to senior leadership in a privately held, Private Equity backed environment. The CFO will have experience managing the finance and accounting function (accounting, budgeting, control, and reporting) within a diverse entity. The successful candidate will have the ability to function on a broad-based, strategic level and see the "big picture", whilst also being hands-on and capable of diving into the details and data when needed. Tax, including revenue recognition and stock options accounting, etc. Our client's staff currently numbers approximately 250 employees, with plans for strategic growth both organic and inorganic in the future. This role will report to the CEO. The private equity firm invests directly in small, privately held manufacturing, distribution and service businesses. The firm has maintained its focus on this market to become a valued resource for equity capital for recapitalizations and buyouts of smaller middle-market businesses. The firm, together with management and co-investors, recapitalized our client in April of 2018. Compensation is competitive with the position's requirements. In a performance-based environment, this will include base salary, bonus structure based on corporate qualitative and quantitative strategic KPIs, and a stakeholder opportunity in the company.